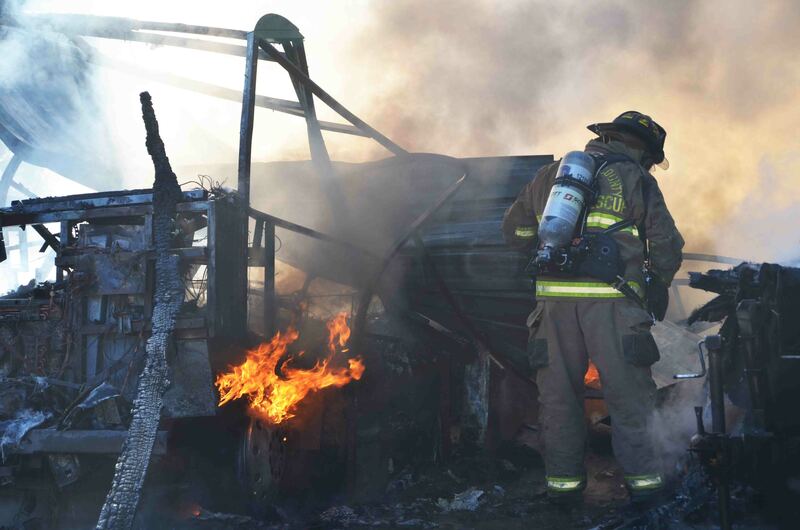 A large garage was destroyed in a Sunday afternoon fire at 5526 Moselle Road. The incident occurred at 12:55 30-December, when a neighbor saw the 50x30 garage on fire. They alerted the homeowner and called 9-1-1. Engine 23 arrived several minutes later, to find the building fully involved. The roof had already collapsed. Click here for additional information. At 15:31, Friday 28-December, 9-1-1 received reports of smoke coming from the building at 9026 Sidneys Road. The vacant 8000 square foot commercial building was previously used as a tire and automotive repair shop. Engine 19 arrived to find the single story block building with light smoke visible from the roof and eaves. One hand line was deployed to the building as Tender 19 set up water supply. Click here for more info. Three men were injured in a high speed rollover accident in the 14800 block of Bells Highway Thursday evening 27-December at 20:38. The east bound car left the roadway near a curve, rolled over multiple times before coming to rest on its roof at the wood line. 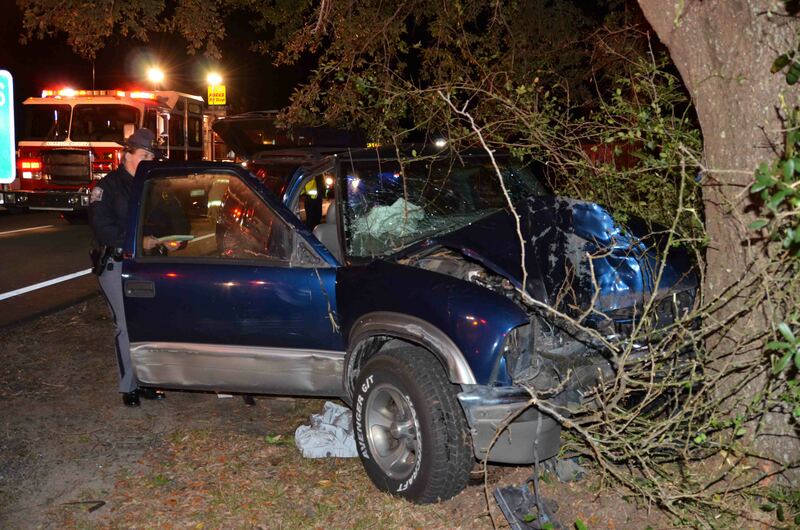 All of the occupants suffered multiple traumatic injuries and one suffered a head injury. Click here for additional information. 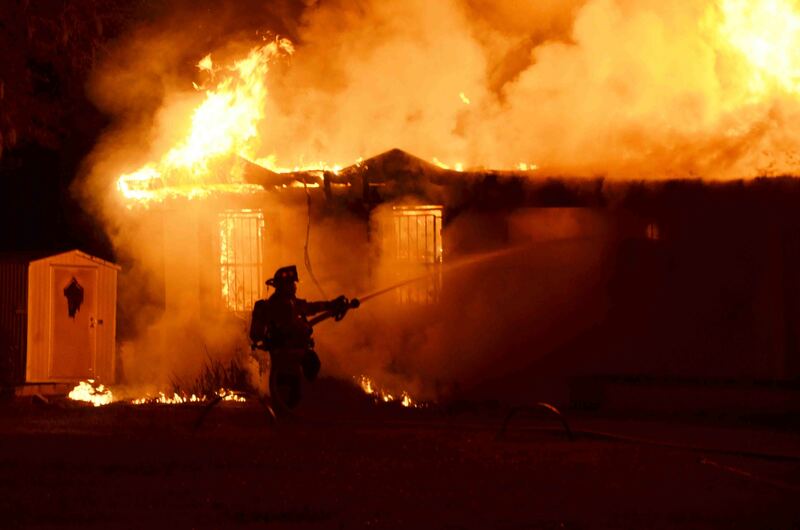 A west Walterboro family lost their home in a late night fire Wednesday evening 26-December. At 23:06, 9-1-1 received a report of the burning structure at 1054 Jones Swamp Road. The caller advised one person and several dogs were still in the house. Fire-Rescue arrived six minutes later to find the single story ranch style home approximately 60% involved. Click here for additional information. 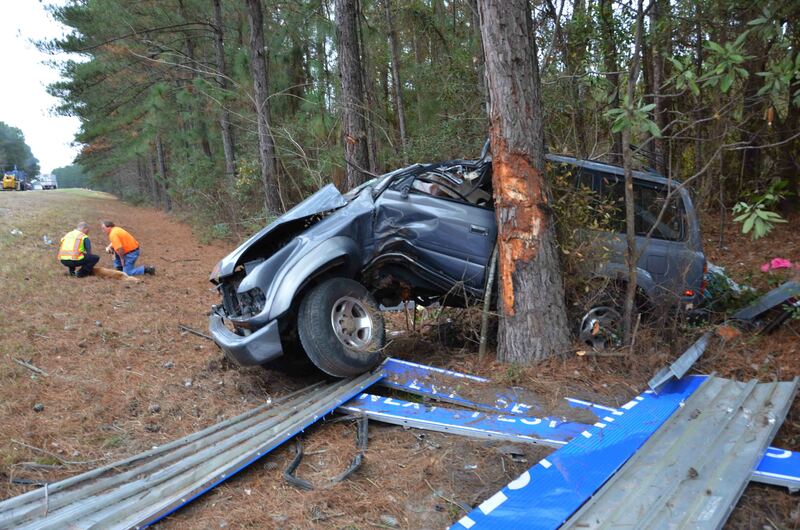 A high speed single car MVC on I-95 at the 49 mile marker north bound, sent two people to the hospital. The accident occurred Wednesday morning 26-December at 10:13 in a heavy down pour as severe thunderstorms passed through the area. The north bound Honda left the roadway, spun around backwards and impacted two trees. Click here for additional information.. 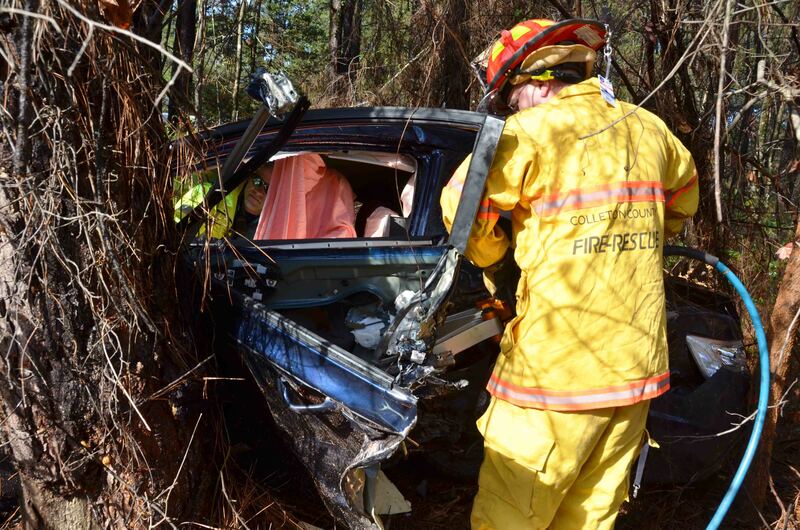 Seven people were injured in a single vehicle MVC on I-95 at the 41 mile marker southbound, Tuesday afternoon 25-December at 16:18. The accident occurred in heavy rains. 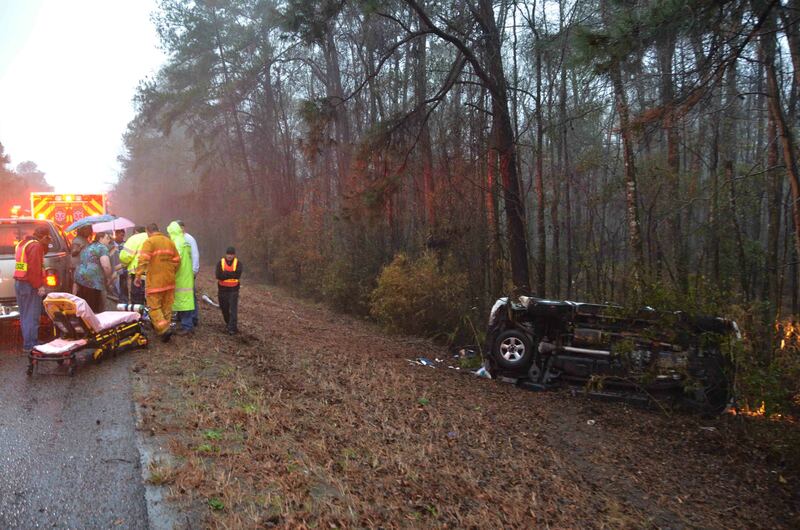 The southbound Nissan Armada SUV, left the roadway, went down an embankment and overturned. The SUV struck a tree roof first, causing heavy damage, especially to the rear passenger compartment. Click here for more info. At 10:06, 9-1-1 Operators began receiving calls regarding thick black smoke coming from the American Bio-Mass building located at 36 Clearwater Drive Sunday morning 23-December. The business is a waste disposal facility. 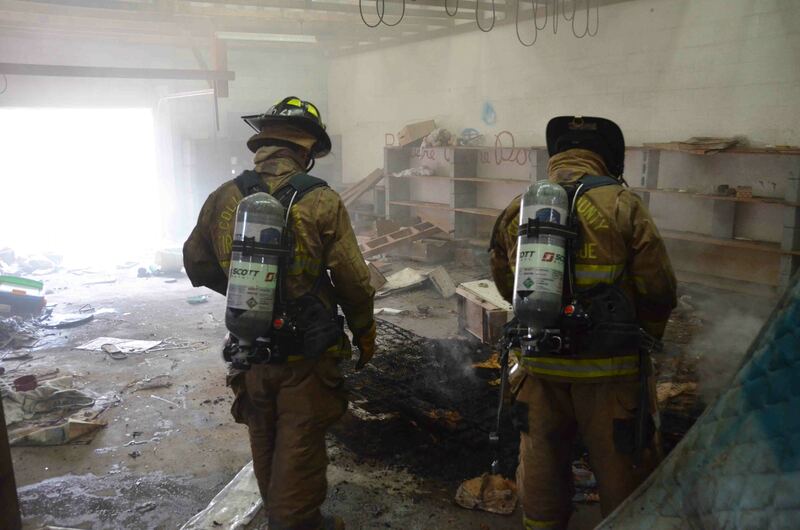 Due to the nature of the business in a non-hydranted area, a second alarm was assigned to the incident shortly after dispatch as a precaution. Click here for additional information. 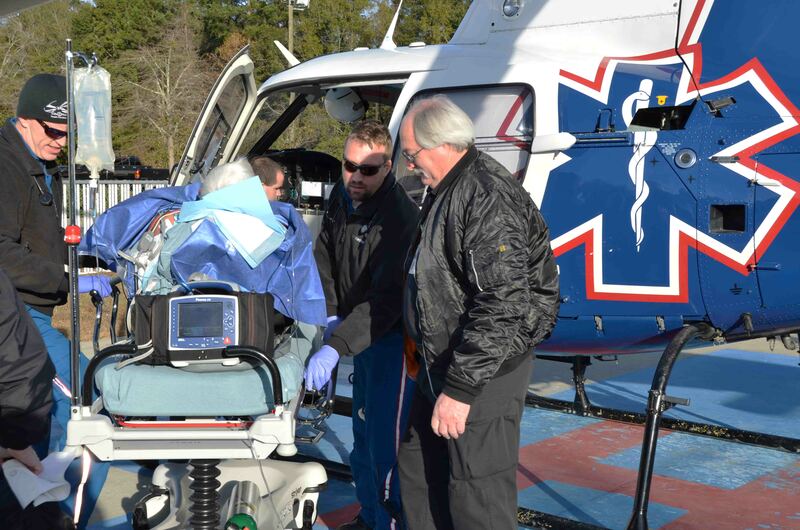 A 62 year old man was flown to the Still Burn Center in Augusta Georgia after receiving first, second and third degree burns over 60% of his body, Sunday morning 23-December. 9-1-1 was alerted to the incident located at 107 Trevor Drive at 08:00. 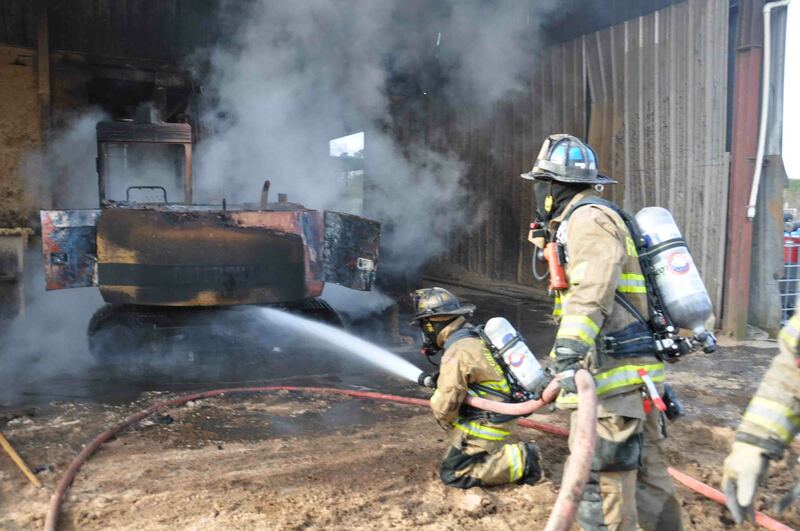 The man stated he was pouring a mixture of diesel fuel and gasoline on a burning fire when the container exploded setting his clothes on fire. Click here for more information. Arrangements for Cade Moyer are as follows: The viewing will be from 18:00 to 20:00 Sunday evening at Copelands Funeral Home on Hwy 170 in Beaufort. The burial will be Monday at 13:00 at the same location. Copelands is located between Lowes and the Golden Coral On Hwy 170. To Beaufort on Hwy 21. Turn right past McDonalds and about 1/2 to 3/4 mile on left. 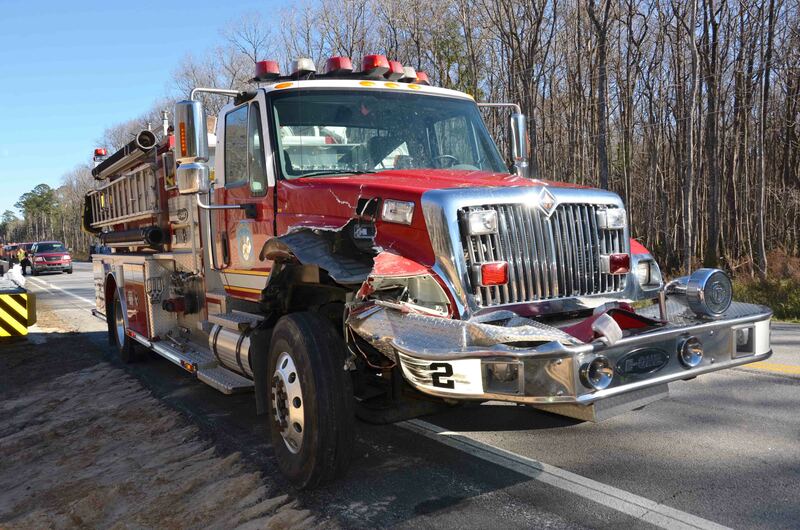 Engine 2 was involved in a three vehicle MVC while responding to an incident Saturday afternoon 22-December at 13:41. The Engine was south bound in the 14000 block of ACE Basin Parkway (US Highway 17) in a construction zone, when a vehicle pulled to the right against a concrete barrier. Another vehicle also had to stop, but the Engine collided with the rear of second vehicle...click here for more information. A 24 year old Charleston man died in a single car MVC in the 1200 block of Bennetts Point Road Saturday afternoon 22-December at 13:15. The north bound Plymouth Neon left the roadway at a high rate of speed in a curve and struck a tree. The small car suffered heavy damage. The man was heavily entrapped in the damaged car. Click here for additional information. 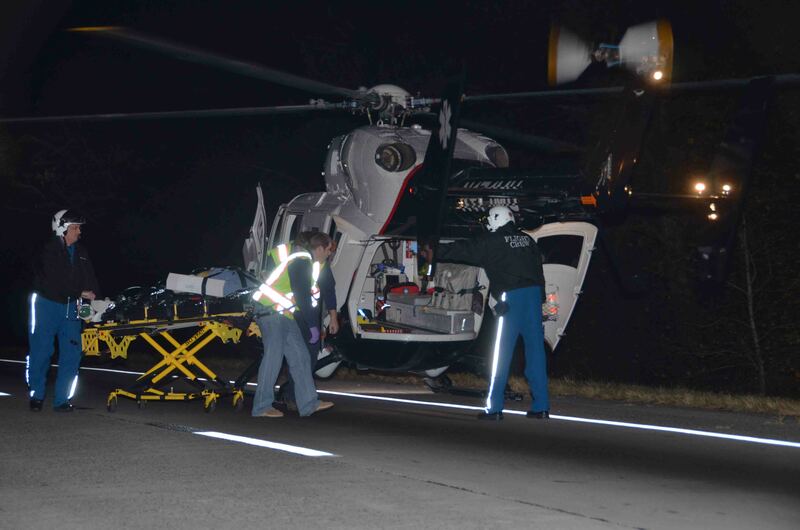 A single car MVC left a 61 year old man with multiple non-life threatening traumatic injuries Friday evening 21-December at the intersection of Cottageville Highway (US Hwy 17-A) and Sidneys Road. The accident occurred at 18:26 when the vehicle drove through a DOT Barricade, crossed Cottageville Highway and struck a large tree. The man was trapped from the waist down by the dashboard. Click here for more info. A 44 year old man was injured when a tree fell on him during a land clearing operation. The incident occurred at 24294 Augusta Highway at 16:09 Friday 21-December. 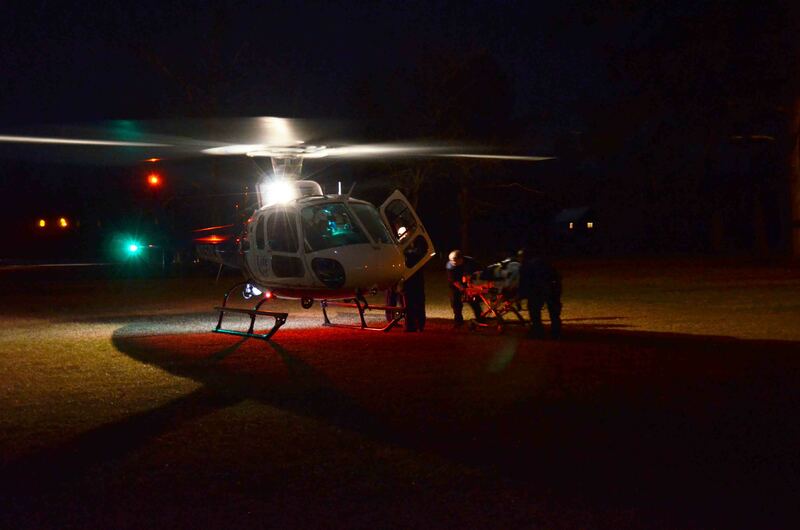 Medic 9 and Engine 902 responded, treated the man for multiple traumatic injuries and requested a medical helicopter. 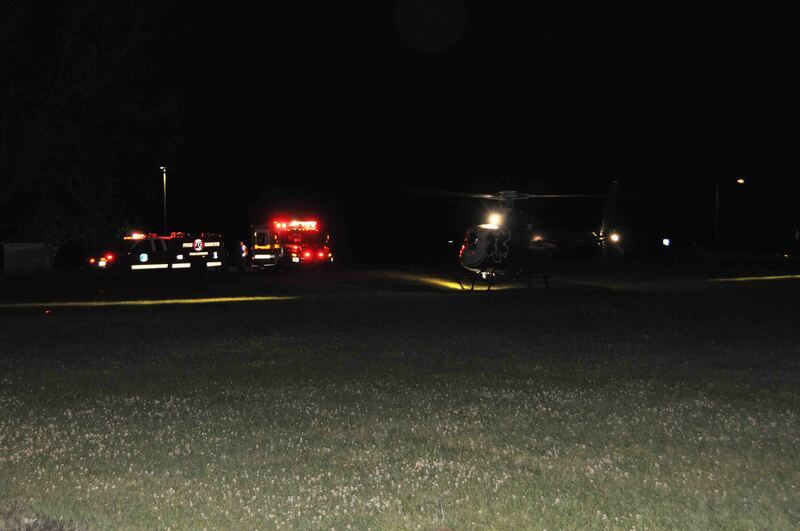 Engine 902 set up a landing zone in a nearby field for LifeNet 4 to land. Click here for additional information. Our department offers its sincerest condolences to the Moyer Family. Three year old Cade Moyer, the son of Firefighter-EMT Chris Moyer and grandson of Engineer-EMT-I Chuck Moyer, suddenly died this morning at a Beaufort Hospital. We will provide information on funeral arrangements as we receive them. Please remember the Moyer family in your prayers. 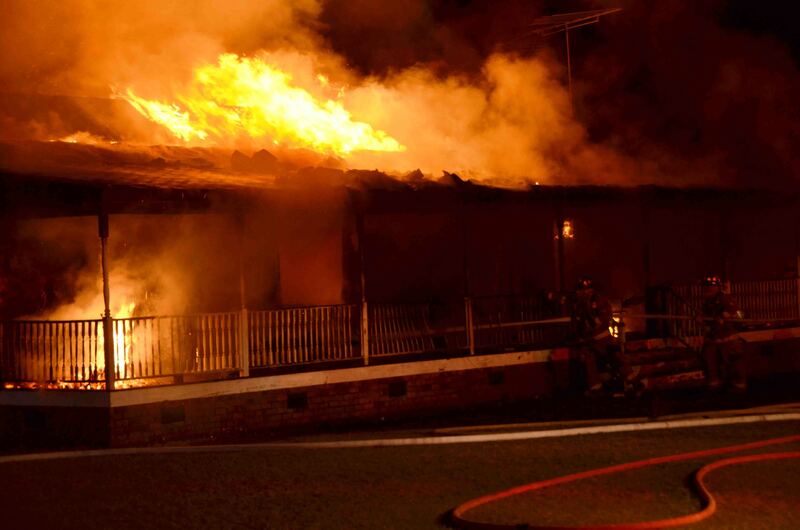 A Hendersonville family lost their home to a fire this morning at 04:27, Thursday 20-December. The home was located in the rural community at 2378 Black Creek Road. A family member woke up and smelled smoke. Upon investigating she found the kitchen was on fire. She alerted the other family members who were able to escape, but the family’s Labrador did not make it out of the house. Click here for more information. 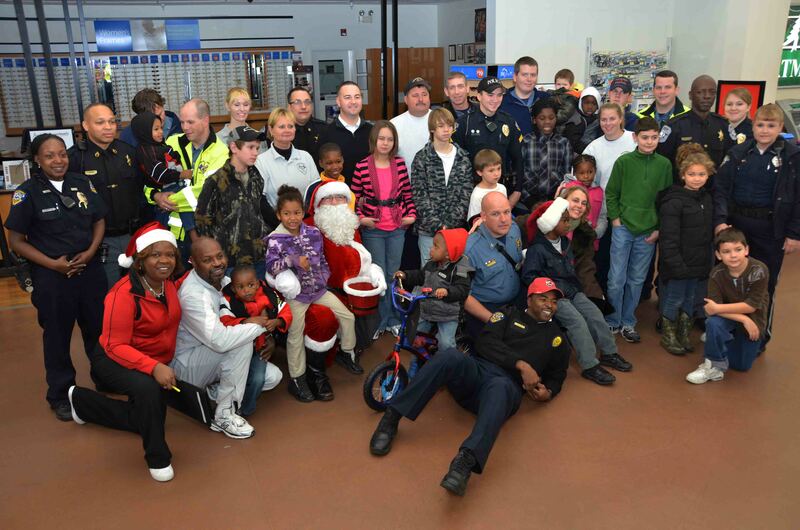 Local Law Enforcement, Walterboro Public Safety and Colleton County Fire-Rescue participated in the annual “Shop with Santa’s Heroes” event Saturday 15-December. The effort was coordinated by Ricky Valentine and DSS. Twenty three personnel assembled at the County Parking lot at 07:00 to be paired up with a child selected by DSS. Click here for additional information. A 52 year old man suffered multiple, non-life threatening traumatic injuries following a high speed MVC at the intersection of Peirce Road and Brocktown Road. The accident occurred Thursday evening 13-Dec at 19:05. 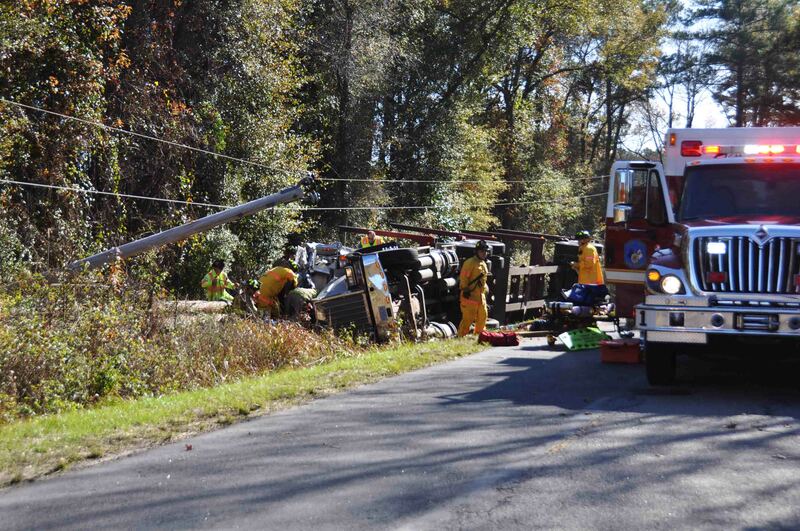 The utility truck left the roadway and struck a tree causing heavy damage. The man was wearing a seatbelt. 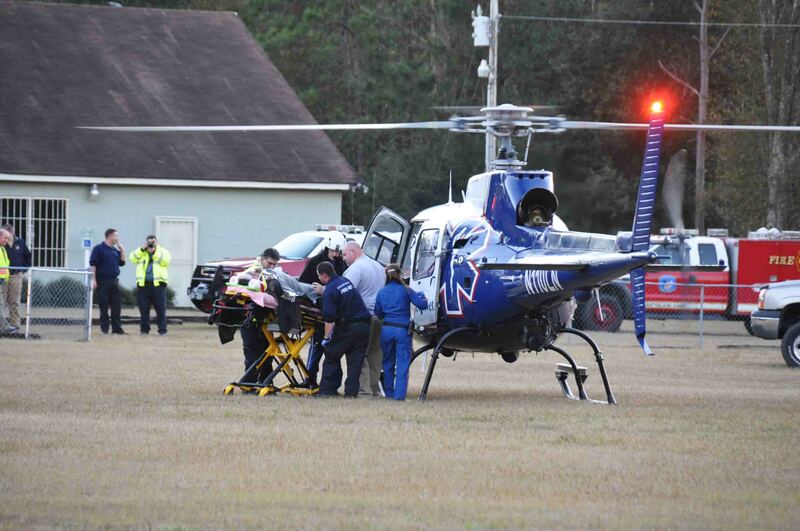 Firefighter-Paramedics treated him at the scene, then transported him to Colleton Medical Center for further care. Click here for additional information. 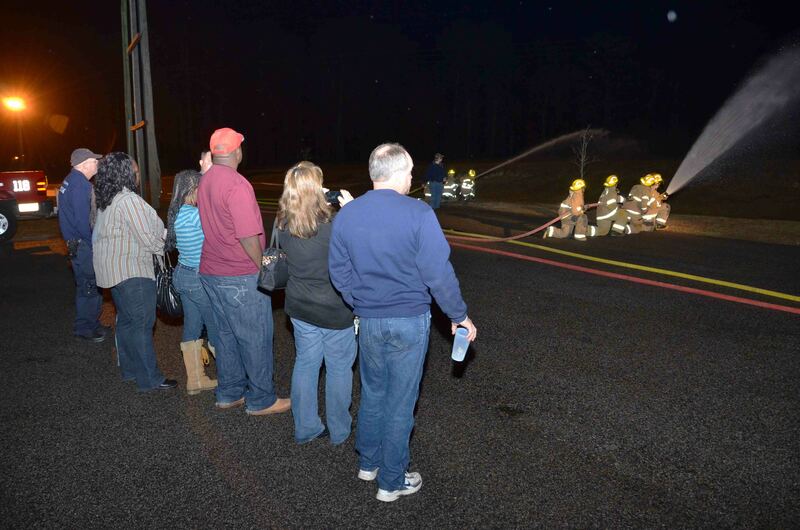 Our Explorer’s Post hosted a parents night during their monthly training meeting at Station # 19 Tuesday 11-December. The Explorers invited their parents to meet the Post Leaders and observe the skills they have been perfecting. Battalion Chief Feather and Capt Rohaus introduced the group, then covered the history of the Explorer Program, it’s importance in the community and to the department. Click here for more info. 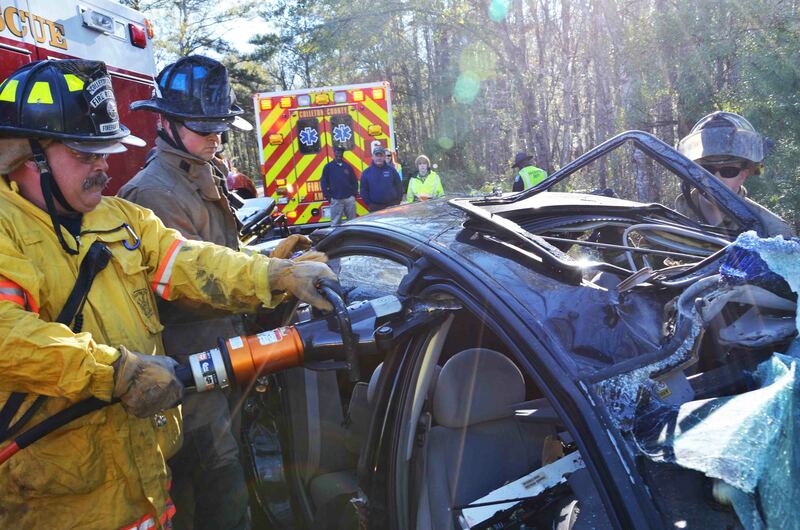 Incident # 12-06711 - A Virginia woman and her dog were severely injured after their Toyota Land Cruiser overturned on Interstate 95 near the 46 mile marker Tuesday afternoon 11-December at 14:29. The small SUV appears to have drifted off of the left shoulder, then overcorrected causing the vehicle to cross both lanes of traffic. Click here for additional information. 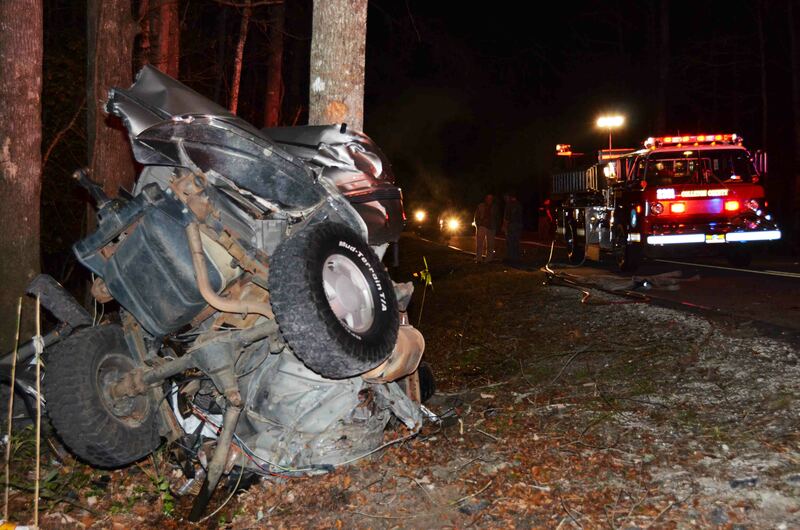 A high speed collision in the 1000 block of Confederate Highway (SC Hwy 641) claimed the life of a Ruffin teenager Monday evening 10-December at 18:29. Several motorists drove up on the accident which was about one mile west of Bells Highway near the Ashton Community. The westbound 1998 Chevrolet Tahoe left the roadway after coming out of a curve. Click here for additional information. 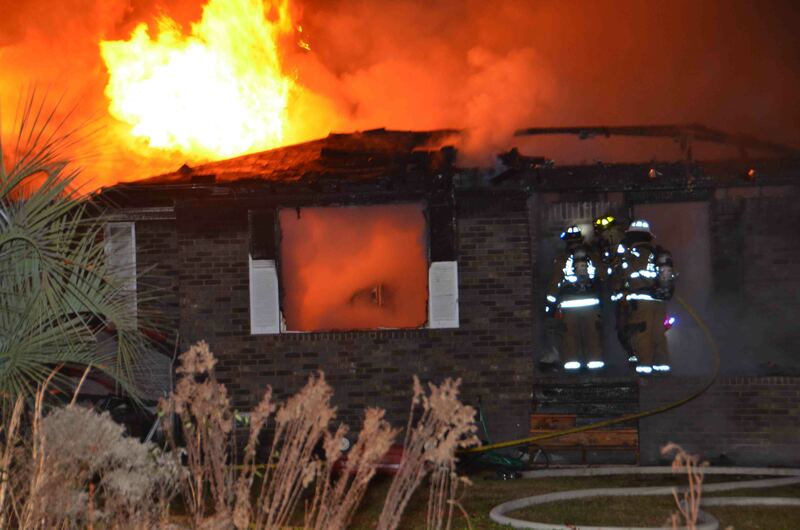 Firefighters saved approximately 60% of an Oregon Road home Tuesday evening 04-December. Units were dispatched to 586 Oregon Road at 19:44 after several neighbors reported seeing fire coming from the roof of the building. Engine 6 arrived to find 35% of the single story brick veneer dwelling well involved with flames coming through the roof. The home had bars on all the windows and doors. Click here for additional information. A 31 year old man was trapped in his tractor trailer following an accident on Jacksonboro Road, just south of Parkers Ferry Road Monday 3-December at 12:01. The northbound loaded log truck left the roadway and overturned in the ditch. The load of cut pine trees was propelled forward crushing the Kenworth’s cab, knocked down a power pole, thus suspending the lines about two feet over the truck. Click here for more information. A 59 year old man received severe burns after his clothing caught fire in his Williams home, Sunday evening 02-December. Fire-Rescue was notified of the incident at 21:10. Medic 18 responded to 14 Line Street in the Town of Williams to find the shirtless man with second and third degree burns covering approximately 18% of the back of his body. Click here for additional information. An 83 year old New Jersey man suffered multiple traumatic injuries after crashing his car on I-95 Sunday morning 2-December at 00:49. The Toyota Prius left the roadway near the 45 mile marker northbound, entered the median and stuck several trees. 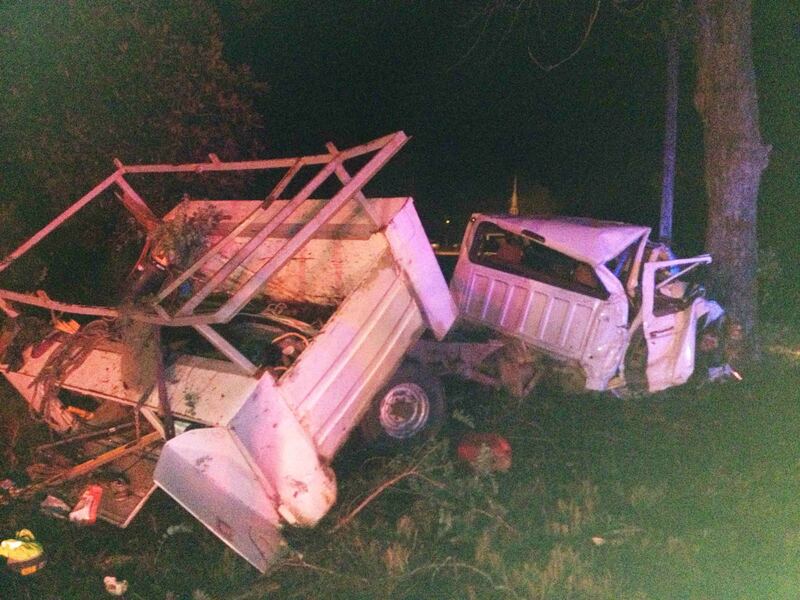 The man was trapped in the wreckage, receiving several fractures and a head injury. Click here for additional information. Two people died in a single vehicle accident on Oregon Road Saturday afternoon, 01-December. It was located approximately one mile east of White Hall Road. 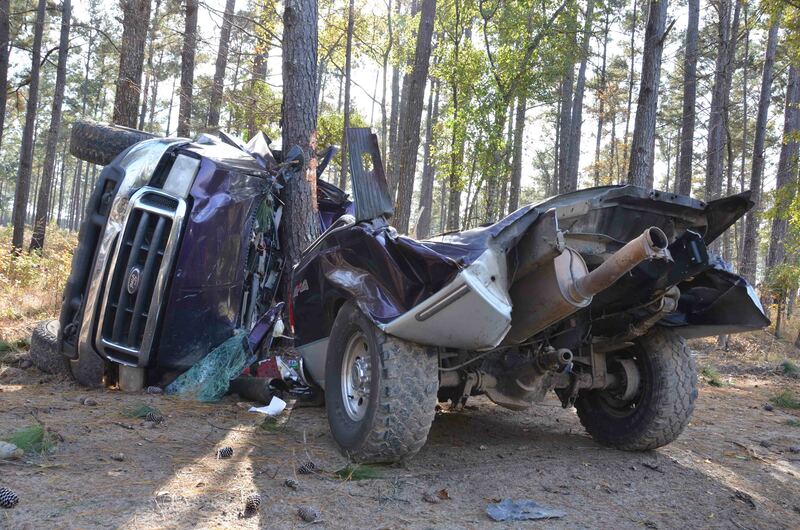 The accident was reported at 12:21 after two men found an injured 13 year old male walking on the narrow dirt road. Oregon Road is a lightly traveled dirt road that runs through a swamp and a large tree farm. Click here for additional information.